We will be at Seedy Saturday in St Peter’s Hall, Carmarthen on Saturday 8th March, with seeds from the garden, scythes for sale and information. Come along for a chat! 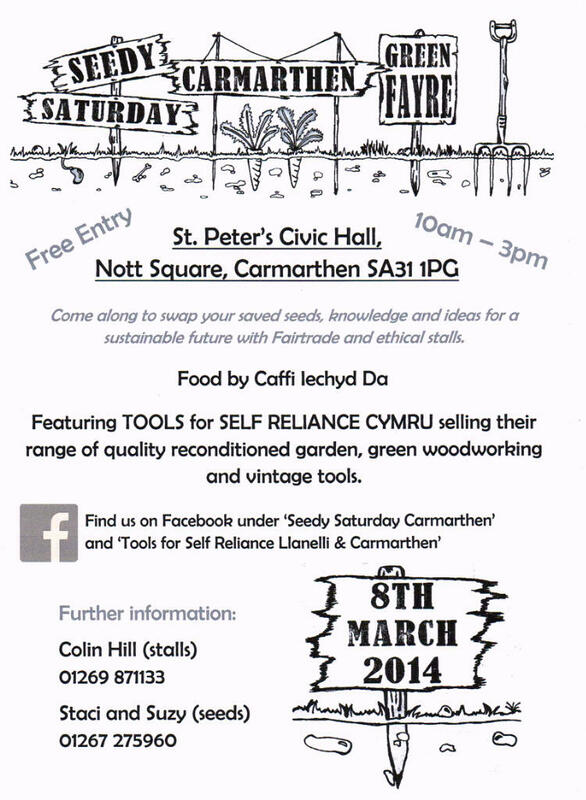 See the Carmarthen Seedy Saturday Facebook page for more information about the fair. This entry was posted in Scythes, Seed Saving and tagged carmarthen, scythes for sale, seed swap. Bookmark the permalink.